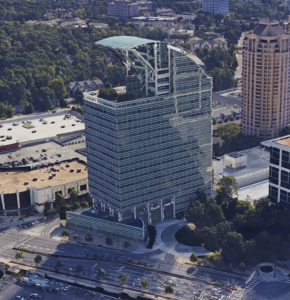 Directions: We are located in the center of Buckhead on the corner of Peachtree Road and Lenox Road NE. Heading south from Hwy 400, take exit 2 at Lenox Road then turn left and head towards Peachtree Road. At the intersection of Peachtree and Lenox turn left and then take an immediate right into The Pinnacle Building roundabout. We are on the 9th floor, in suite 975 of the of The Pinnacle Building. Going north on 400, take exit 2 and turn right, then follow the directions above.